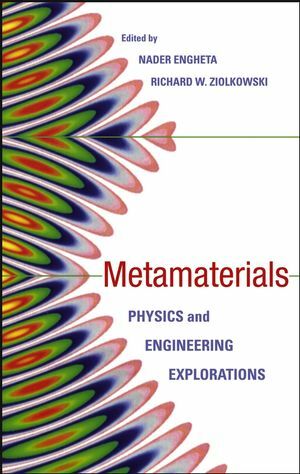 Metamaterials: Physics and Engineering Explorations gives readers a clearly written, richly illustrated introduction to the most recent research developments in the area of electromagnetic metamaterials. It explores the fundamental physics, the designs, and the engineering aspects, and points to a myriad of exciting potential applications. The editors, acknowledged leaders in the field of metamaterials, have invited a group of leading researchers to present both their own findings and the full array of state-of-the-art applications for antennas, waveguides, devices, and components. Following a brief overview of the history of artificial materials, the publication divides its coverage into two major classes of metamaterials. The first half of the publication examines effective media with single (SNG) and double negative (DNG) properties; the second half examines electromagnetic band gap (EBG) structures. The book further divides each of these classes into their three-dimensional (3D volumetric) and two-dimensional (2D planar or surface) realizations. Examples of each type of metamaterial are presented, and their known and anticipated properties are reviewed. Collectively, Metamaterials: Physics and Engineering Explorations presents a review of recent research advances associated with a highly diverse set of electromagnetic metamaterials. Its multifaceted approach offers readers a combination of theoretical, numerical, and experimental perspectives for a better understanding of their behaviors and their potentialapplications in components, devices, and systems. 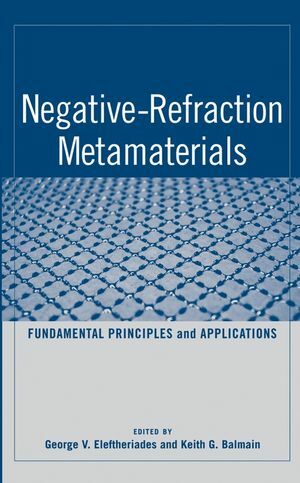 Extensive reference lists provide opportunities to explore individual topics and classes of metamaterials in greater depth. 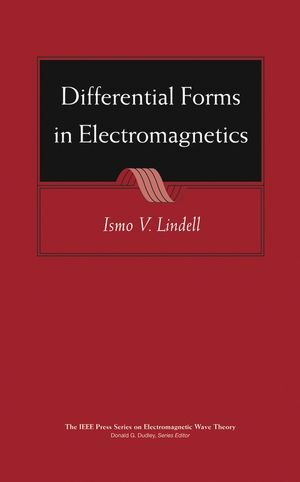 With full-color illustrations throughout to clarify concepts and help visualize actual results, this book provides a dynamic, user-friendly resource for students, engineers, physicists, and other researchers in the areas of electromagnetic materials, microwaves, millimeter waves, and optics. It equips newcomers with a basic understanding of metamaterials and their potential applications. Advanced researchers will benefit from thought-provoking perspectives that will deepen their knowledge and lead them to new areas of investigation. NADER ENGHETA, PhD, is the H. Nedwill Ramsey Professor in the Department of Electricaland Systems Engineering, University of Pennsylvania. A Guggenheim Fellow, a recipient of the IEEE Third Millennium Medal and the NSF Presidential Young Investigator Award, a Fellow of the IEEE, and a Fellow of the Optical Society of America, he is an Associate Editorof IEEE Antennas and Wireless Propagation Letters and was an IEEE Antennas and Propagation Society Distinguished Lecturer from 1997–1999. RICHARD W. ZIOLKOWSKI, PhD, is a professor in the Department of Electrical and Computer Engineering with a joint appointment in the College of Optical Sciences, University of Arizona. He was elected by the faculty to be the first Kenneth von Behren Chaired Professor and has been a recipient of the Tau Beta Pi Professor of the Year Award and the IEEE and Eta Kappa Nu Outstanding Teaching Award. Professor Ziolkowski is a Fellow of the IEEE and a Fellow of the Optical Society of America. He was the 2005 president of the IEEE Antennas and Propagation Society. PART I: DOUBLE-NEGATIVE (DNG) METAMATERIALS. SECTION I: THREE-DIMENSIONAL VOLUMETRIC DNG METAMATERIALS. CHAPTER 1: INTRODUCTION, HISTORY, AND SELECTED TOPICS IN FUNDAMENTAL THEORIES OF METAMATERIALS (Richard W. Ziolkowski and Nader Engheta). 1.2 Wave Parameters in DNG Media. 1.3 FDTD Simulations of DNG Media. 1.4 Causality in DNG Media. 1.5 Scattering from a DNG Slab. 1.8 Phase Compensation with a DNG Medium. 1.9 Dispersion Compensation in a Transmission Line Using a DNG Medium. 1.10 Subwavelength Focusing with a DNG Medium. 1.11 Metamaterials with a Zero Index of Refraction. CHAPTER 2: FUNDAMENTALS OF WAVEGUIDE AND ANTENNA APPLICATIONS INVOLVING DNG AND SNG METAMATERIALS (Nader Engheta, Andrea Al&ugrave;, Richard W. Ziolkowski, and Aycan Erentok). 2.2 Subwavelength Cavities and Waveguides. 2.3 Subwavelength Cylindrical and Spherical Core–Shell Systems. 2.4 ENG–MNG and DPS–DNG Matched Metamaterial Pairs for Resonant Enhancements of Source-Generated Fields. 2.5 Efficient, Electrically Small Dipole Antennas: DNG Nested Shells. 2.6 Efficient, Electrically Small Dipole Antennas: ENG Nested Shells—Analysis. 2.7 Efficient, Electrically Small Dipole Antennas: HFSS Simulations of Dipole–ENG Shell Systems. 2.8 Metamaterial Realization of an Artificial Magnetic Conductor for Antenna Applications. 2.9 Zero-Index Metamaterials for Antenna Applications. CHAPTER 3: WAVEGUIDE EXPERIMENTS TO CHARACTERIZE PROPERTIES OF SNG AND DNG METAMATERIALS (Silvio Hrabar). 3.2 Basic Types of Bulk Metamaterials with Inclusions. 3.3 Theoretical Analysis of Rectangular Waveguide Filled with General Metamaterial. 3.4 Investigation of Rectangular Waveguide Filled with 2D Isotropic ENG Metamaterial. 3.5 Investigation of Rectangular Waveguide Filled with 2D Isotropic MNG Metamaterial. 3.6 Investigation of Rectangular Waveguide Filled with 2D Uniaxial MNG Metamaterial. 3.7 Investigation of Rectangular Waveguide Filled with 2D Isotropic DNG Metamaterial. 3.8 Investigation of Subwavelength Resonator. CHAPTER 4: REFRACTION EXPERIMENTS IN WAVEGUIDE ENVIRONMENTS (Tomasz M. Grzegorczyk, Jin Au Kong, and Ran Lixin). 4.2 Microscopic and Macroscopic Views of Metamaterials. SECTION II: TWO-DIMENSIONAL PLANAR NEGATIVE-INDEX STRUCTURES. 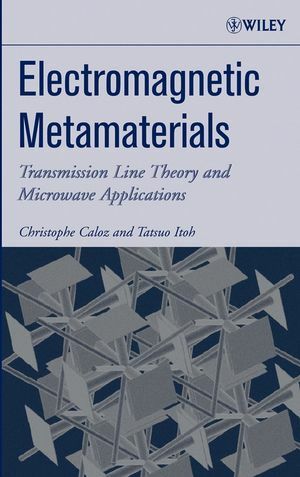 CHAPTER 5: ANTENNA APPLICATIONS AND SUBWAVELENGTH FOCUSING USING NEGATIVE-REFRACTIVE-INDEX TRANSMISSION LINE STRUCTURES (George V. Eleftheriades). 5.2 Planar Transmission Line Media with Negative Refractive Index. 5.3 Zero-Degree Phase-Shifting Lines and Applications. 5.4 Backward Leaky-Wave Antenna Radiating in Its Fundamental Spatial Harmonic. 5.5 Superresolving NRI Transmission Line Lens. 5.6 Detailed Dispersion of Planar NRI-TL Media. CHAPTER 6: RESONANCE CONE ANTENNAS (Keith G. Balmain and Andrea A. E. L&uuml;ttgen). 6.2 Planar Metamaterial, Corner-Fed, Anisotropic Grid Antenna. 6.3 Resonance Cone Refraction Effects in a Low-Profile Antenna. CHAPTER 7: MICROWAVE COUPLER AND RESONATOR APPLICATIONS OF NRI PLANAR STRUCTURES (Christophe Caloz and Tatsuo Itoh). 7.2 Composite Right/Left-Handed Transmission Line Metamaterials. PART II: ELECTROMAGNETIC BANDGAP (EBG) METAMATERIALS. SECTION I: THREE-DIMENSIONAL VOLUMETRIC EBG MEDIA. 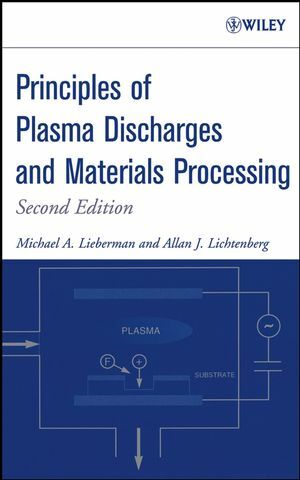 CHAPTER 8: HISTORICAL PERSPECTIVE AND REVIEW OF FUNDAMENTAL PRINCIPLES IN MODELING THREE-DIMENSIONAL PERIODIC STRUCTURES WITH EMPHASIS ON VOLUMETRIC EBGs (Maria Kafesaki and Costas M. Soukoulis). 8.2 Theoretical and Numerical Methods. 8.3 Comparison of Different Numerical Techniques. CHAPTER 9: FABRICATION, EXPERIMENTATION, AND APPLICATIONS OF EBG STRUCTURES (Peter de Maagt and Peter Huggard). 9.3 Experimental Characterization of EBG Crystals. 9.4 Current and Future Applications of EBG Systems. CHAPTER 10: SUPERPRISM EFFECTS AND EBG ANTENNA APPLICATIONS (Boris Gralak, Stefan Enoch, and G´erard Tayeb). 10.2 Refractive Properties of a Piece of Photonic Crystal. SECTION II: TWO-DIMENSIONAL PLANAR EBG STRUCTURES. CHAPTER 11: REVIEW OF THEORY, FABRICATION, AND APPLICATIONS OF HIGH-IMPEDANCE GROUND PLANES (Dan Sievenpiper). CHAPTER 12: DEVELOPMENT OF COMPLEX ARTIFICIAL GROUND PLANES IN ANTENNA ENGINEERING (Yahya Rahmat-Samii and Fan Yang). 12.2 FDTD Analysis of Complex Artificial Ground Planes. 12.3 Various Complex Artificial Ground-Plane Designs. 12.4 Applications of Artificial Ground Planes in Antenna Engineering. CHAPTER 13: FSS-BASED EBG SURFACES (Stefano Maci and Alessio Cucini). 13.3 Accessible Mode Admittance Network. 13.4 Pole–Zero Matching Method for Dispersion Analysis. CHAPTER 14: SPACE-FILLING CURVE HIGH-IMPEDANCE GROUND PLANES (John McVay, Nader Engheta, and Ahmad Hoorfar). 14.1 Resonances of Space-Filling Curve Elements. 14.2 High-Impedance Surfaces Made of Space-Filling Curve Inclusions. 14.3 Use of Space-Filling Curve High-Impedance Surfaces in Antenna Applications. 14.4 Space-Filling Curve Elements as Inclusions in DNG Bulk Media.